Oh, Sloan does this one thing really well that I love: he mixes very specific facts and very specific fictions and treats them exactly the same. I repeatedly get this little whiplash where he describes some thing, and I think: that's cool, I've never heard of that. Oh wait, is that ... a real thing? or a book thing? The Magz are clearly made up. But I know the Wiggle is real. SF's deal with goats is real. Is the Jay Steve oven real? SO I love Sloan's short stories, and I've been following his work for a long time. When he wrote his novel Mr Penumbra, it seemed genetically engineered to be a combo of things I like. And I did like it! The combo of books, secret lore, some technology, San Francisco, etc - it was like catnip. Sourdough is more of the same. Slightly different content, a more likeable protagonist, but really - catnip. 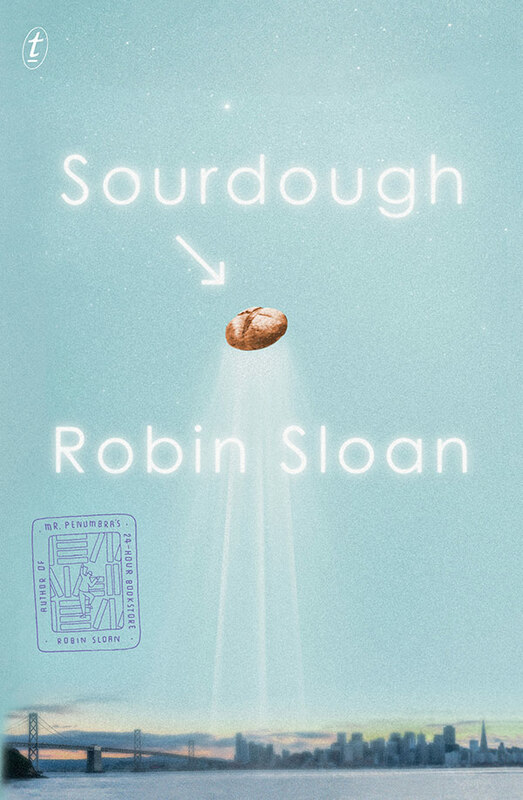 I loved the descriptions of the bread process, I loved the description of what it's like to work in the tech world and not really feel part of the tech world (I suppose we all feel that way), I loved the incredibly optimistic beautiful modern-day HyperSanFrancisco he writes about. Maybe that was my great weakness: if a task was even mildly challenging, any sense of injustice drained away and I simply worked quietly until I was done. I guess I learned that in school. I felt the disorientation of a generous offer that in no way lines up with anything you want to do: like a promotion to senior alligator wrestler, or an all-expenses paid trip to Gary, Indiana. I wish I could say the moment was hazy or dreamlike, but I was sharp with the battle-readiness familiar to all humans of all eas woken by strange noises in the night. At my desk, I hooked it into a pair of monitors, a keyboard, a tablet with stylus. No mouse. I'd learned the tablet trick from one of the patient programmers at Crowley, who recommended it as a ward against repetitive stress injury. Here at General Dynamics, the wraiths regarded it strangely. They could not yet imagine their bodies betraying them. He boomed his greeting in a heavy, hard-to-place accent: "Good evening, my friend!" Greatest among us are those who can deploy "my friend" to total strangers in a way that is not hollow, but somehow real and deeply felt; those who can make you, within seconds of first contact, believe it. Here's a thing I believe about people my age: we are the children of Hogwarts, and more than anything, we just want to be sorted.